In this digital world of information technology, engineers and electronic developers throughout the world have contributed their various efforts in creating the best entertainment systems for everybody. Topping the list of home electronics are video displays which have progressed with time. From the days of CRT monitors, technologies have evolved in an amazing way. It has given the world the very best of televisions, computer monitors and display adapters to make the best video experience. In today’s generation, the top runners within the video display market would be the advanced LED Televisions which deliver performance above quality. Before LED TV technology, televisions were the cathode ray type. A projected ray of charged particles struck the inside of a large vacuum tube. Luminescence brought on the particles to show up on the screen in a quickly repeating series of lines, one line at a time. Due to the fast projection, the picture appeared to happen all at once. LED television technologies are very different. A light shines behind groups of crystal pixels set in a box like grid pattern. Each pixel has three sectors with each one of the three primary colors. For many viewers, the main advantage of these new technologies is that they may be manufactured to a bigger, and also much thinner, size, than old-fashioned small screen televisions, which makes them ideal for wall hanging, as opposed to sitting in their typically reserved space in a corner of the living room. Of the differing types, plasma screen televisions are usually thicker and heavier than LCD and LED televisions. 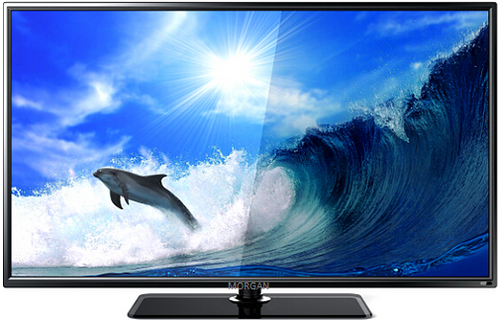 Consumers observe and think about differences in price and performance of LED televisions. Some LED TVs make use of more affordable and older technology to backlight the pixel grid. LED TV backlighting creates a light technically just like fluorescent lighting in the home. LED television backlighting has constant intensity as soon as powered. Dim switches at home work with incandescent lights but not on fluorescent lights for the same reason. LED television sets making use of older backlighting technology never look completely dark whenever power is on. Some back lighting leaks right through to the screen, leaving it a shade of grey. Inability to go black affects contrast. A number of LED TVs make use of newer technologies allowing variance of light to pass through to the front of the screen. This is the reason some LED television screens have better image contrast than other sets.